Atom Bank has released a series of interviews with its new strategic advisor Will I Am. Metrobank has dog bowls. But does any of that matter? I try to keep family before work at the weekends, but I couldn’t resist opening an email from Atom Bank that dropped into my inbox on Sunday. 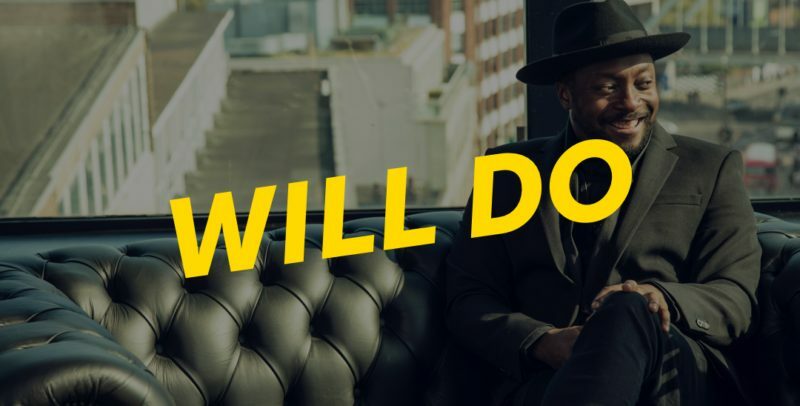 It contained a series of video interviews with Will I Am – Atom Bank’s new strategic advisor. When Will I Am’s involvement with Atom was announced a few months ago, it definitely piqued my interest. Celebrities and financial services have never really mixed in the past – except in advertising campaigns. So the idea of recruiting an American rapper to advise a bank was truly novel. But as I watched the awkward videos on Sunday morning, I was drawn back to the reality that while Atom is exceptional at marketing, it still doesn’t have a concept that is worth shouting about. So far, it has launched a range of fixed rate saving accounts and some mortgages. The savings products are reasonably competitive – but it’s hard to get excited about 2% or 3% interest, even if these are the very best rates on offer. Its app is slick – but no more so than some of the other whizzy apps that are coming out of the Fintech sector at the moment. In fairness to Atom, there’s not that much you can do with a savings product interface. Most bank apps may not look as snazzy as Atom – but they let you pay money in, take it out and check your balance and rate. That’s enough for me – I don’t think there’s a problem that I’m looking for an innovator to solve. As for mortgages, it’s hard to see what Atom’s USP is from the outside, as its products are only available through brokers. I’m sure that Atom will eventually deliver a great looking current account, but I worry that the latest phase of innovation in banking focuses too much on the look and feel, and not on what lies behind. It’s easy to forget that what most people want from their bank is to never have to interact with them. They just want their services to work. Anthony Thompson, who appears as the interviewer in the Will I Am videos, started up Metrobank before he started up Atom. Like Atom, Metrobank has a great track record at marketing, receiving plenty of attention for its flexible opening hours, dog bowls and focus on excellent customer service. My business, Fairer Finance, has been a customer of Metrobank since we launched three and a half years ago, and I’m sad to say that the reality of our experience has not lived up to the marketing hype. The staff are genuinely very friendly. They’ll always make engaging small talk and send me on my way telling me to have an awesome day. But too much goes wrong in the background. Forms handed in within bank branches go missing. Emails and calls are unreturned. Things just don’t work as smoothly as they should do. And no amount of friendly call centre staff make that better. I’d rather not be speaking to them in the first place. Two years ago, Metrobank was top of Fairer Finance’s customer experience tables with a customer trust score of 70%. They’ve now slipped to eighth with a trust score of 61% - lower than Smile, First Direct & Nationwide – brands that have been around for years. The honeymoon phase is well and truly over. Hopefully Atom Bank is different. But I just can’t understand the upside of so much hype before there’s anything to shout about. It makes me want to try their products – but they’ve got no products that are relevant to me. And it leaves me worried that style will once again triumph over substance when they do. Atom and Metrobank are by no means the only challengers. Monzo has been up and running for a few years now – and Starling is another online only bank that has recently launched a current account in beta phase. These banks promote simplicity in their pricing and interaction – but their apps don’t offer much more than smarter ways to analyse your spending. I’m now most interested in Civilised Bank – a start up that will be focused on the business banking market, and promises to send a relationship manager to see you in your offices when you need them. Actually, as a business owner, that sounds much more appealing than sitting in a bank branch knowing that when you get seen, the agent probably won’t have enough specialist knowledge to deal with your enquiry. And frankly, I don’t care how beautiful their app looks, as long as it works. There are plenty of problems that need solving in banking – but challengers must start with a seamless back end. The interface, snappy app - and, dare I say, celebrity advisors - are secondary.